Why sunscreen oil is going to be a game changer this summer. When I think of slathering oil on my body and lying out in the sun, I’m transported back to my European adventure in 2008. I’d just made the discovery that a) the Greek sun didn’t burn my skin, and b) this meant that to achieve tanned skin, I required baby oil. Cringe. Fast forward to now (and a fair few sunspots later…) and I’m gearing up to bathe myself in oil all over again. No, not to achieve a tan — that’s what St Tropez is for, right? — but to protect my skin from burning. I’m talking about sunscreen oil. Leading the charge is La Roche Posay’s Anthelios Nutritive Oil SPF50 ($35.95). It’s two hours water resistant and it’s combination of ingredients makes it glide on without that sticky sunscreen feeling. Now I’m going to say what we’re all thinking: how can an oil provide sun protection and not completely singe our skin? Rachel McAdam, Scientific Communications Manager at La Roche Posay says it’s down to the technology used to make it. “For a long time, oils have been associated with sun baking rather than sun protection, but it’s more a case of the filtering technology than the oil itself,” she explains. If you’re someone who’s prone to dry skin, McAdam says a sunscreen oil should be your go-to as it provides a “barrier from the harsh elements of the environment”. Look, I love sunscreen but its tendency to collect sand and feel greasy are not its winning attributes. Sunscreen oil, on the other hand, is light in texture and, once applied and absorbed by the skin, is barely evident aside from a pleasant glow. I repeat: sunscreen oil is somehow not as greasy as regular sunscreen. Go figure. Prepare to see more of these products on shelves in 2016. Clarins has an option available in the US which will hopefully be making its journey to Aussie shores soon, and Sephora Australia currently stocks Supergoop! 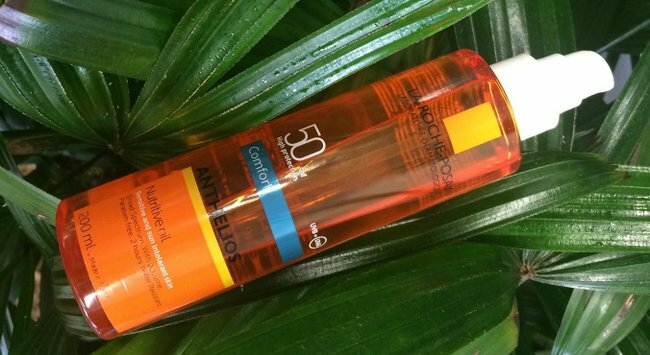 SPF50 Sun Defying Sunscreen Oil with Meadowfoam for just $12.00. And if you run out of your standard tube this summer, why not give it a whirl? Have you tried sunscreen oil?